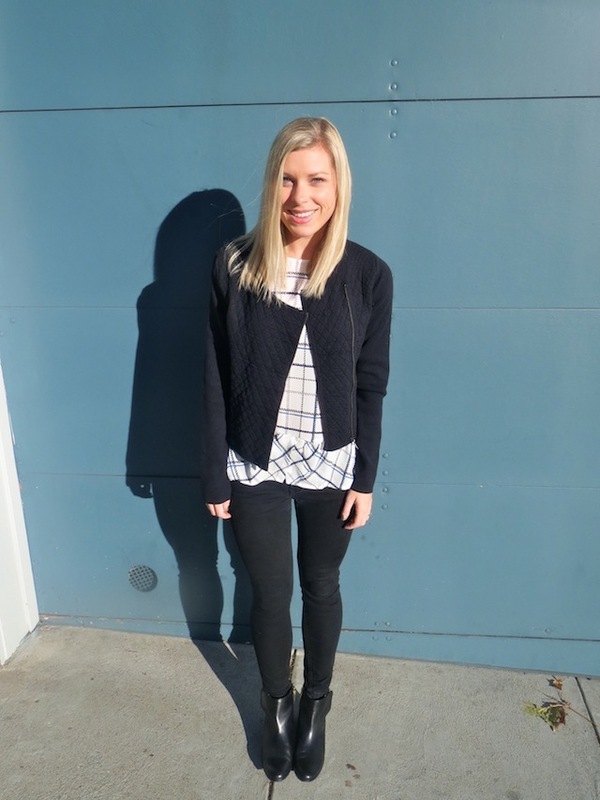 I wrote about the Paris-inspired Elle Runway Collection by Kohl's a few weeks ago (in case you missed it, read it here) so I wanted to show you what I picked out: a checked silk top and a quilted black sweater. 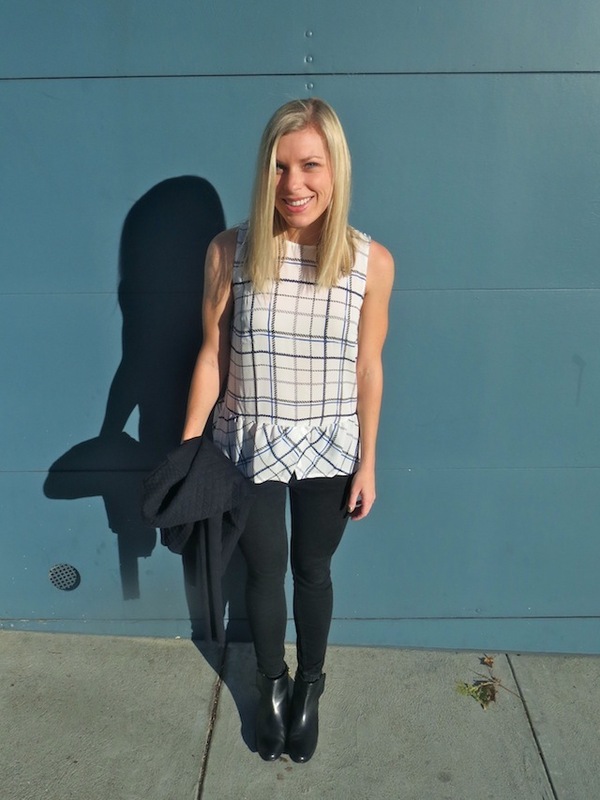 I love the subtle peplum of the top, and the sweater is more like a light jacket, perfect for fall. And in case you're wondering, my booties are Sam Edelman (similar pair here). Check out more of the Elle Runway Collection by Kohl's here.